Whether you are looking for a little support or someone to completely develop and manage your store traffic program, HeadCount can help. Looking for ways to drive same-store sales? Searching for ways to more effectively measure your advertising spending? Wanting to optimize your staff scheduling to get better productivity? 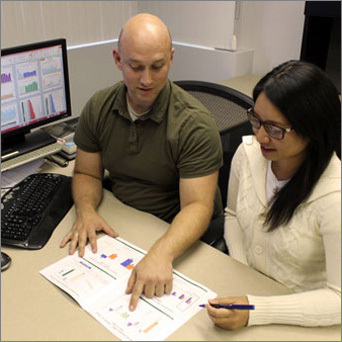 Searching for simple analytics that will enable your field managers to deliver better results? Considering a new merchandising program or store layout and want to accurately understand its impact? Already collecting traffic count data, but looking to get more and better insights? Regardless of where you start, HeadCount can help. From store operations to marketing, finance and HR, HeadCount delivers analytics, reporting and on-going TalkTraffic briefings to ensure every manager gets the insights they need – from the store to the executive suite. Getting started All it takes is a simple phone call for us to listen to what you are planning to achieve so we can propose what we can do to help you. Who we work with We work with retailers just like you. We designed our service for all retailers, regardless of size or category. From twenty stores to two thousand, we have a service that can work for you. Our service costs Affordable and flexible. HeadCount is a monthly service, with no minimum term or number of stores. A one-time hardware and installation fee is quoted in advance, and then you pay an all-inclusive low monthly service fee per store – not per sensor or camera – and you can cancel anytime. Custom designed reporting Daily, weekly, monthly and more. We create a reporting package that delivers the insights your managers need – from dashboards for senior executives to scorecards for store-level managers – HeadCount provides critical insights across the entire company and at all levels. 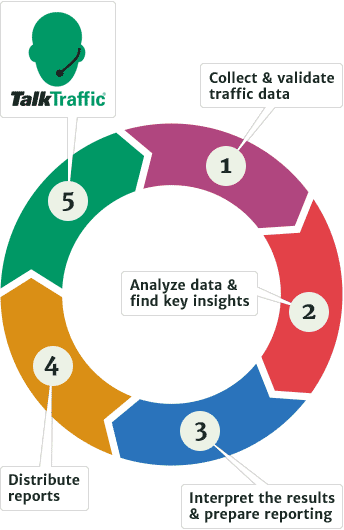 TalkTraffic® brings the data to life Graphs and charts won’t make your business better. HeadCount brings the insights to life through its unique TalkTraffic® web-based coaching program. We help your managers get the most out of the insights – and it’s included as part of the service.